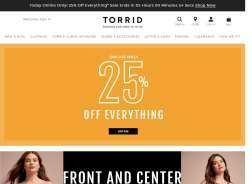 Torrid is a women's plus sized fashion retailer that caters to sizes 10-30. Find stylish clothes like jeans, tops and dresses along with active wear, shoes and accessories always on trend. With buy online, pick up in store, you can find the best deals and codes to use in-store or online. Take $15 off every $50 spent on qualifying merchandise up to a maximum purchase amount of $1,000. Get 20% off your first Purchase when you sign up for email. Get Free Shipping to Stores + $6 Flat Rate shipping to your door. 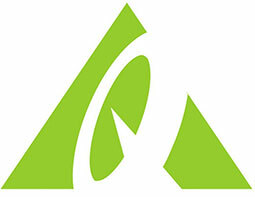 Get 30% Off Select Regular Price Sleep. Mix + Match Sale! Get $10 off Leggings, graphics, lingerie + More & $15 Off Tops, Shorts, Bras, shoes + More & $20 off Boots, Dresses, Jackets + More. Offer available for Regular price select styles only. Black Friday! Take an extra 50% off clearance + 40% Off Regular Price Items. Must be a Torrid Credit Card holder and pay using a Torrid Credit Card in order to redeem.